I found "7 Family Ministry Essentials: A Strategy for Culture Change in Children's and Student Ministries" to be a greatly beneficial book to anyone involved with student or children's ministry. I feel that Michelle & Megan really did their research for this book. I really liked that the chapters end with a Ministry Assessment which include ways to challenge and motivate your family ministry leaders. 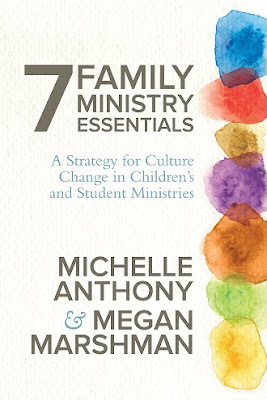 I would recommend this book to anyone who is seeking a resource to improve or transform their family ministry. I received this book for free from Litfuse in exchange for my honest opinion. I am not required to write a positive review. All opinions expressed are 100% my own.